A tried and trusted method for controlling high power electrical switching is the air break circuit breaker. Such breakers incorporate Arc Chutes to extinguish electrical arcs and these Arc Chutes need materials that are proven to withstand extremes of electrical and thermal environments, for decades and decades. 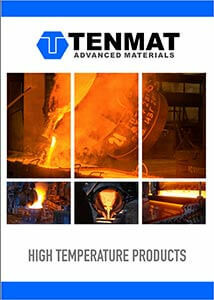 Around the world from Nuclear Power Stations to high speed train systems, TENMAT materials are integral in controlling electrical arcs. Equipment designed and built in the mid and latter part of the last century use air break circuit breakers. The design is so good that the breakers have decades of use ahead of them but some still contain asbestos cement. TENMAT offers a solution to those companies who wish to retain the original air break circuit breakers but to remove the asbestos cement. Refurbishment is a much more cost effective solution than new equipment. Health and safety issues become a problem of the past. ARCLEX, SINDANYO and REFRAVER are the best 21st century materials available. They are chosen by power stations to solve their asbestos replacement issues as well as DC switchgear original equipment manufacturers (OEMs) for state of the art railway systems around the world. A tried and trusted method for controlling high power electrical switching is the air break circuit breaker. Such breakers incorporate Arc Chutes to extinguish electrical arcs and these Arc Chutes need materials that are proven to withstand extremes of electrical and thermal environments, for decades and decades. 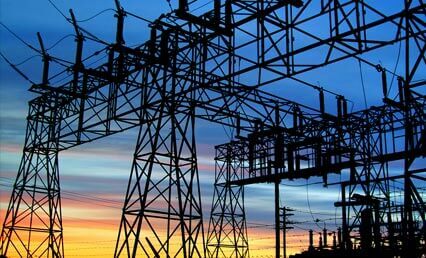 Around the world from Nuclear Power Stations to high speed train systems, TENMAT materials are integral in controlling electrical arcs. Equipment designed and built in the mid and latter part of the last century use air break circuit breakers. The design is so good that the breakers have decades of use ahead of them but some still contain asbestos cement. TENMAT offers a solution to those companies who wish to retain the original air break circuit breakers but to remove the asbestos cement. Refurbishment is a much more cost effective solution than new equipment. Health and safety issues become a problem of the past. ARCLEX, SINDANYO and REFRAVER are the best 21st century materials available. They are chosen by power stations to solve their asbestos replacement issues as well as DC switchgear original equipment manufacturers (OEMs) for state of the art railway systems around the world.